Jared Unzipped: Happy Birthday Crystal! Today is a very special day -- it's my better half Crystal's birthday! She's 29 years old -- forever! And don't you forget it. 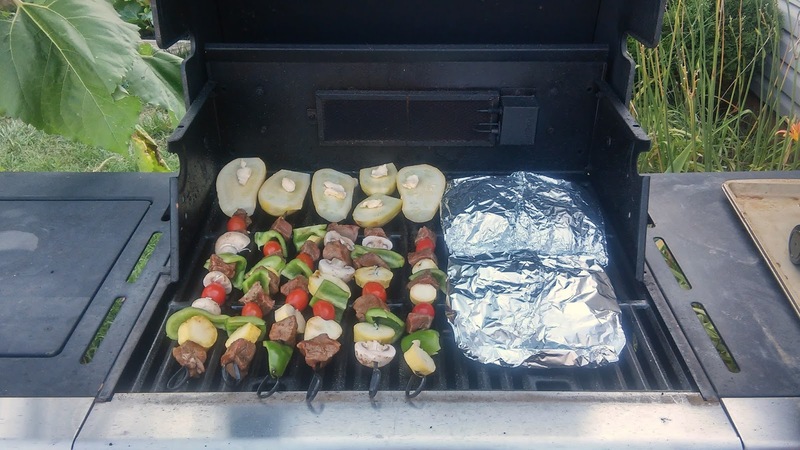 As per her usual request, her birthday meal is always kabobs. They came out quite tasty, consisting of steak, green peppers, pineapple, squash, tomatoes and mushrooms (for me). We also enjoyed some sliced squash bulbs with butter and garlic. Oh boy, was it tasty. In lieu of a birthday cake, Crystal asked for a pumpkin pie. Who am I to argue? We'll chow down on the pie momentarily. Also, as a side note, you'll notice how tall the sunflower near our grill has grown. As of my last update, it was about eight feet tall. Today, it's roughly twelve feet. Many small flower heads have appeared along the length of the stalk, but no main flower head has sprouted at the top yet. 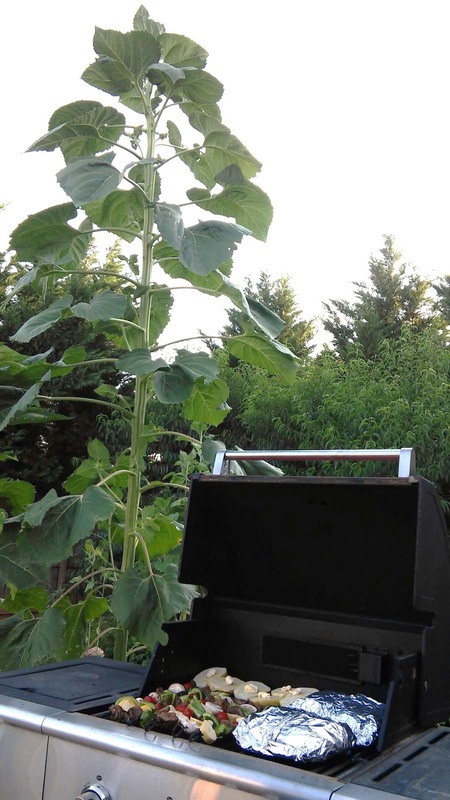 It seems the sunflower will continue to grow taller and taller. Maybe we've got a world record going here... I'm just not sure. Everyone be sure to tell Crystal Happy Birthday!